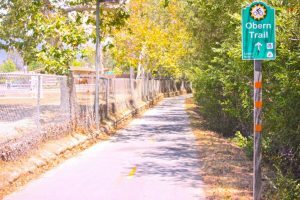 The Obern Trail Bike Path is a a 21 mile paved bike loop along the water, taking in many sights in Santa Barbara and Goleta. 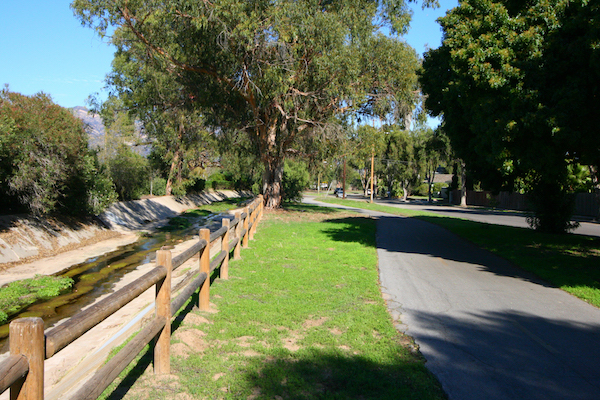 The wide and well signed trail includes Goleta Park, UCSB Campus, and some of Santa Barbara proper. We’ve mapped a section from the UCSB campus through Goleta Beach Park, and then a great section alongside the Atascadero Creek, which has a dirt path making it easier for runners. Start out at Arroyo road and work your way west, or park at the University and head east. Enjoy a bite at the classic Beachside Bar & Cafe at in Goleta Beach Park at the end of your run! Add-Ons: Work in our the UCSB Lagoon Run or the More Mesa Loop into your workout. Also, the entire bike path is a well-marked 21 miles loop.